With over 200,000 copies of the first-person shooter sold already, New World Interactive’s Day of Infamy is doing alright. Despite that success, they’re not looking to claw more money from their sizeable fanbase. In fact, they have yet another free update ready to go. Check our list of the best FPS games for more. The update, inspired by the Christopher Nolan war movie, has made its debut today. 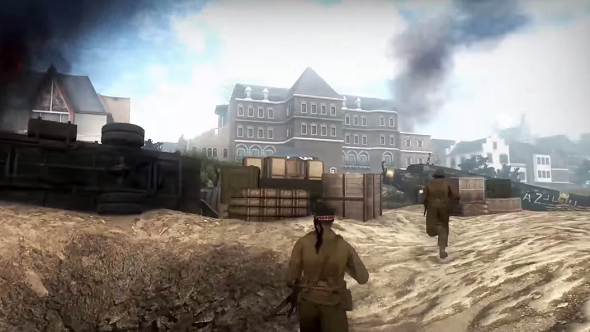 In it, you’ll fight other players in the evacuation of Dunkirk and the battle of Breville. “Our Dunkirk map offers a unique gameplay perspective by inverting the flow of battle so it ends on the beach instead of starting there,” creative director Andrew Spearin explains. As in the film, the Dunkirk map is centred around ‘The Miracle of Dunkirk’, in which a flotilla of civilians helped to evacuate over 300,000 stranded troops. The Battle of Breville is highlighted in the second map, with paratroopers from the British 6th Airborne Division liberating a French village. As well as the new maps, there’s an all-new foliage system in place, adding to the visuals and also providing a new tactical layer to the FPS. Check out the trailer above.